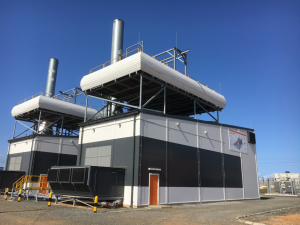 Jacobsen Elektro completed the Oil Cube turn-key project of 18MW HFO Power Plant for LEC, Liberia Electricity Corporation, in May 2016. This is the biggest Power Plant in Liberia at the moment and comprises 2 Wärtsilä units each with 9MW. This plant is able to provide power for the whole Monrovia grid, improving stability, decreasing fuel costs while much improving environmental performance when compared to older high speed units.